The Coldcut sample, ‘Honey I got rhythms I haven’t used yet‘ sums up how I feel about illustrating just now. How can you choose one style when there are so many exciting ways to make a picture? 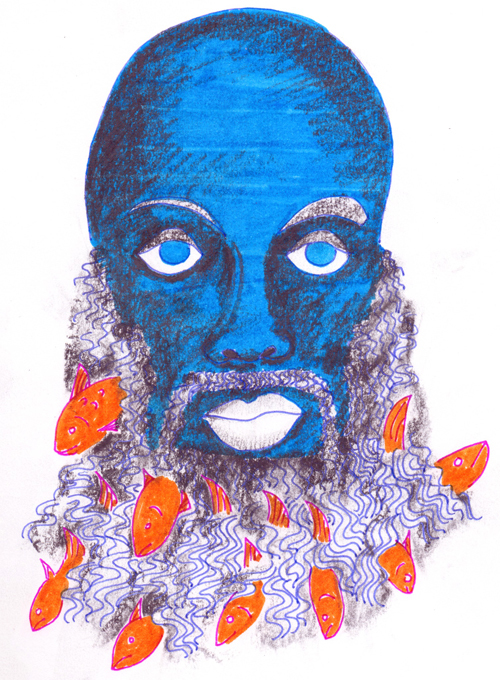 This week I took the topic ‘Gone Fishing’ from Illustration Friday and after a few iterations, came up with neptune’s beard. Charcoal over felt tip is a new one for me. I know a lot of people struggle with defining their illustration style – and having a unique and recognisable style helps you to be competitive in the illustration market. Apparently the tip is to keep drawing, keep drawing what interests you, keep drawing in the medium you like best and keep experimenting. Keep on keeping on. Easy? 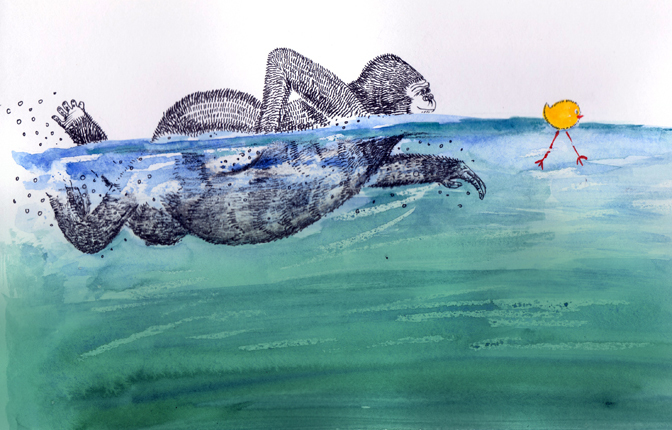 It’s been rather wet lately… Can gorillas swim? I don’t know. But I read that they do ‘belch vocalisations’ and that tickles me. Apparently it signals contentment. Watch out, is that a gentle smile on our gorilla’s face?